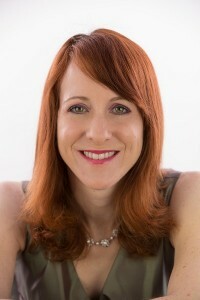 Alice Osborn is a professional writer and editor in Raleigh. Her specialty is fiction and memoir editing, and she teaches various workshops in the area. She also plays the guitar and the violin as well as practicing Irish Dance. I have known Alice for years, and she is a talented writer with a solid reputation for helping her clients get great results. She is also an accomplished and entertaining speaker with a gift for engaging her audience. Photo shoots with Alice are always fun—you can see a lot of different sides to her personality that come through in different scenes and outfits. Part of what I always try to do with clients in photography sessions is to capture the “un-posed” persona behind their personal brands. Anyone who knows Alice can tell you that she is not your typical book editor. We needed to convey her professional side while also showing that she is creative, fun and innovative. We shot this image for Halloween of 2013, when Alice dressed up as the Lady Melisandre from Game of Thrones. (I don’t personally watch the show, but Alice is a big fan.) She uses this image for her Sci-Fi/Fantasy Book Editing business card. I’ve also shot images of Alice playing the guitar, reciting poetry and speaking at local events. She is a great client. Her creativity and confidence really show when she gets in front of the camera. Note: All external hyperlinks in this post are ... rel="nofollow"